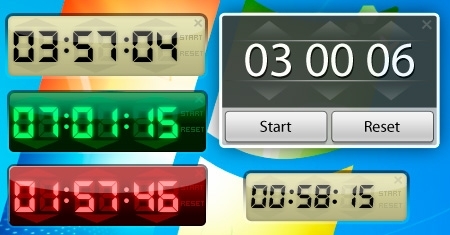 Free Desktop Timer is a simple utility that allows you to create multiple timers on your desktop. This is one of those kinds of things that you might not even know you need until you try it. Once installed, Free Desktop Timer appears as an icon in the system tray, ensuring that it's always handy when you need it. The program's interface is attractive, with eight different nice-looking skins to choose from. You can also have the program shut down their computer or put it in standby or hibernation mode. Best of all, Free Desktop Timer lets you create multiple timers. Free Desktop Timer is a great choice for anyone seeking a simple timer--or two, or more--that can live unobtrusively on your desktop.